At Spookipawz we have raised pedigree cats for over 20 years. 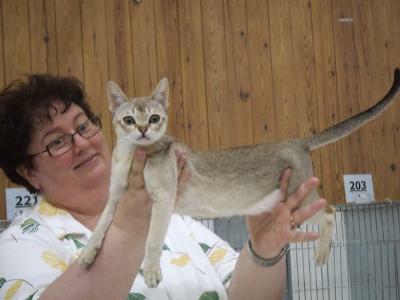 We started out with Persians and Exotics, and then 10 years ago one of our Persian breeder friends showed us a Singapura and that was it ! We waited a long time for our first Sing and never looked back. We now breed excusively Singapuras. We try to remain a small cattery (but it's hard at times !) and are happy to be owned by some beautiful cats with naughty Sing personalities. We are lucky to have some great cats in our breeding programme. 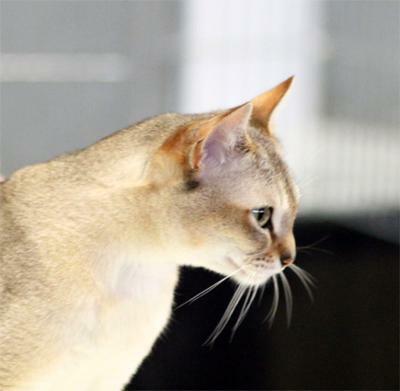 Our lovely male, Katzalano Charlie Brown was the number 1 Singapura in TICA in 2009-2010. 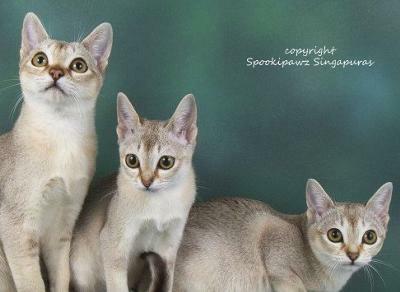 His son Spookipawz Here Comes Snoopy is the number 2 Singapura in TICA 2010-2011. We generally show in TICA. We test our cats for PKDef. 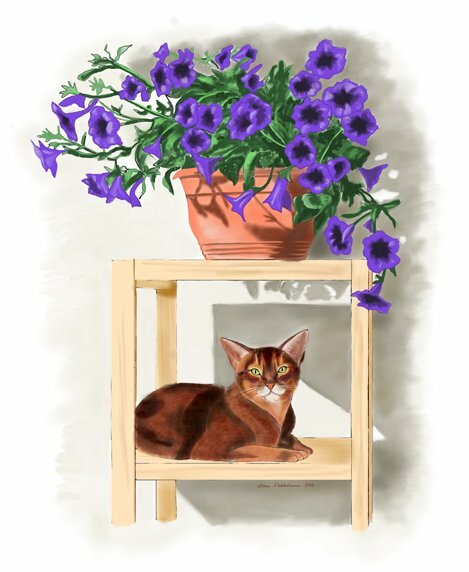 Thank you so much for kindly allowing me to use your cattery photos here on my website. The Singapura is still such a rare breed it was hard to find good photos. So Spookipawz to the rescue! Talking of which - you are also involved in Singapura rescues, which is a wonderful thing. 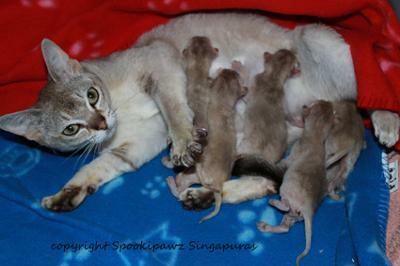 I put the link to the Singapura Cat Club of UK on the Singapura rescue page. 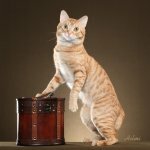 I wish you will keep up your good breeding work - after all it is best there are enough good breeders, so that people don't end up getting their Singapura from a less-than-trustworthy place... The good of the breed and the health of the cats should always come first.